You are currently browsing the archive for the Photography category. Updates and corrections for Sony Alpha a7R III Menu Setup Guide. 2018-06-01 – Version 1.1b published in PDF, EPUB, and MOBI (Amazon Kindle) formats, including FullStopBooks, Kobo, iTunes, Amazon, Apple, Barnes and Noble. There were a few mentions of “dSLR” or “digital SLR” in the guide. As the a7R III is a mirrorless camera and not an SLR, there errors have been corrected to say “mirrorless” camera. “Future Updates to the Text” chapter, information, and links added to the guide. 2018-06-04 – Version 1.2 published in PDF, EPUB, and MOBI (Amazon Kindle) formats, including FullStopBooks, Kobo, iTunes, Amazon, Apple, Barnes and Noble. To my great embarrassment, there was a typo (extra word) on the very first page of the text. That has been corrected. Nikon D850 Experience, my latest Full Stop e book and the first D850 user’s guide, is now available! This e book goes beyond the manual to help you learn the features, settings, and controls of the powerful, versatile, and highly customizable Nikon D850. Plus most importantly it explains how, when, and why to use the functions, settings, menu options, and controls in your photography – including the sophisticated autofocus system with its Group-Area AF mode, the Highlight-Weighted metering mode, the touch screen, customizable buttons and Sub-Selector control, plus UHD 4K video and several video improvements. It covers the new features of the camera such as Focus Shift Shooting for focus stacking, Negative Digitizer for creating positive images from film negatives, Bluetooth connection via Nikon’s SnapBridge app, and completely silent shooting modes. Written in the clear, concise, and comprehensive style of all Full Stop dSLR guides, Nikon D850 Experience will help you learn to use your full-frame D850 quickly and competently, to consistently make the types of images you desire. This e-book is available in either PDF or EPUB format for reading on your computer, tablet, iPad, e-reader, etc. Take Control of your Nikon D850 with this Clear and Comprehensive User Guide! E-Book Format: Available in two instant-download formats to choose from. (Learn more about the differences of these two formats, later on this page). For Intermediate / Enthusiast Photographers: This instant download Nikon D850 Experience user guide is designed to help you take fuller advantage of the capabilities of your camera. It covers standard dSLR camera functions and exposure concepts for those learning digital SLR photography, and explains more advanced camera controls and operations for experienced enthusiasts. -Go beyond Program mode and shoot competently in A, S, and M shooting modes. -Take full advantage of the sophisticated 153 point autofocus system and its Focus modes, AF-area modes, and Custom Settings – for sharp focus of still or moving subjects. -Set up your camera with clear explanations and recommended settings for all Menu options and Custom Settings of the D850. -Learn how, when, and why to use and customize the controls, buttons, touch screen, and features of the D850 to best fit your shooting needs. For Experienced Photographers coming to the D850 from previous Nikon models, this Nikon D850 Experience user guide explains the new and advanced features in order to quickly get you up and running and taking advantage of these capabilities, including the advanced 153-point Autofocus System and all its AF Modes, AF-Area Modes, and Custom Settings, for capturing both still and moving subjects. It also covers back-button focusing and trap focus techniques with the D850, the Group-Area AF mode, and newly added subject-tracking parameters. Plus it explains the camera controls and how to customize them for your shooting needs, features such as Highlight-Weighted Metering Mode, Focus Shift Shooting, Negative Digitizer, and the HDR, Multiple Exposure, and Time-Lapse Shooting features. The guide also introduces the HD and 4K UHD video features and settings, and guides you through all the Playback, Shooting, and Setup Menus, Custom Settings, and Movie Mode Menu settings of the D850 in order to help you best set up the camera and its controls for your specific shooting needs, and includes the helpful, comprehensive Nikon D850 Setup Guide Spreadsheet created by the author. You can preview Nikon D850 Experience user guide at the following link. The preview shows the complete Table of Contents and excerpts from the Introduction, Menu Settings section, Custom Settings section, and Autofocus section. IMPORTANT NOTE to Mozilla Firefox browser users: the current built-in PDF viewer in Firefox may not work well and may cause the PDF preview to appear in a low resolution. Please download and/ or view the PDF preview with Adobe Acrobat Reader to see the proper, full resolution. -Setting Up Your D850 – All of the D850 Custom Settings and Playback, Shooting, and Setup Menus, including Movie Mode Menus, with explanations and recommended settings for practical, everyday use. Set up and customize the advanced features of your dSLR to work best for the way you photograph. Plus a link to the free D850 Setup Guide Spreadsheet for assistance and reference. -Auto Focusing Modes and Area Modes and Release (Drive) Modes – The new 153-point D850 autofocus system is a powerful tool, and taking control of it will enable you to successfully capture more sharp images, in both still and action situations. Learn the AF Modes, AF Area Modes, and AF Custom Settings including the subject-tracking options, how they differ, how and when to take advantage of them to capture both still and moving subjects. Plus how and when to use focus lock and back-button focusing. -Exposure Metering Modes of the Nikon D850 – How they differ, including the new Highlight-Weighted Metering Mode, how and when to use them for correct exposures in every situation, and how to customize them for your needs. Plus how to make use of exposure lock. -Histograms, Exposure Compensation, Bracketing, and White Balance – Understanding and using these features for adjusting to the proper exposure in challenging lighting situations, and customizing the controls for easy access to these features. Plus making use of the new Auto White Balance options, and setting a custom white balance. -The Image Taking Process – Descriptive tutorials for using the settings and controls you just learned to take photos of both still and moving subjects. -Introduction to Video Settings – Settings and explanations to get you started shooting HD and 4K UHD video. -Photography Accessories – The most useful accessories, including those specific to the D850. -Lenses – Nikon (Nikkor) lenses compatibility with the D850, and explanations of Nikon lens notations. -Composition – Tips, techniques, and explanations, including the creative use of depth of field. This 465 page Nikon D850 Experience user guide is a digital e-book, illustrated with over 350 images, diagrams, and screen shots. It goes beyond the manual to clearly explain how, when, and why to use the features, settings, and controls of the Nikon D850 to help you get the most from your camera. Price: $14.99 – Now Available! EPUB format for reading on a Nook, Sony Reader, other e-reader device, or on the iPad using iBooks. Or on an Android tablet (Galaxy, Xoom, Playbook, etc.) using an ePub reader app such as the free OverDrive Media Console. Or viewing on your computer with free Adobe Digital Editions software. (EPUB not able to be printed on your printer.) If you are unable to transfer or read the EPUB on your Kindle, please contact me for a MOBI format version of the book. MOBI format for Kindle – please contact me. Over 95,000 readers in more than 75 countries are taking control of their cameras and improving their photography with Full Stop e book camera guides! A well written, professional helpful guide – Brilliant, just what I was looking for! A manual that was exciting, clear to follow, had examples and was used by a professional who gave just the right amount of technical info with explanations of why you use those settings, when to use those settings and so on, all properly explained. The book is a revelation, a joy to follow, well thought through and well written. Nikon should be employing Doug to write every one of their cameras manuals. All You Need – This book, together with the manual that came with your camera, is all you need to start discovering the full potential of the camera. It is like I have a personal instructor on-call! I have learned so much about this dSLR and continue to learn more each time I review various sections. Excellent. I use this book the most! I bought several books, paperback and Kindle, after buying the D750 and have noticed I use this book by far the most. I recommend this book without reservation. Really practical and tremendously helpful. Readers of this e-book can expect to benefit from a more rewarding photographic experience using this superb camera, and be better able to exploit its potential to match their personal objectives and photographic style. Highly recommended. This manual is a clearly written, concise and useful explanation of the rationale for the seemingly infinite and often confusing settings options for the camera. Used in conjunction with the Nikon manual I feel more confident in understanding how to at last proceed in getting better photographs. This is the most helpful manual I’ve ever used. There is no comparison to the book Nikon includes with the camera, this book outshines it completely. No serious user should be without this. I find myself referring back to this book quite often and find it very easy to find what I need and even easier to understand. Better Than the Manual – Douglas Klostermann has done a great job of not only producing a very accessible guide but he also offers very useful and sensible suggestions for getting the best results from the camera. Reading the guide was like one photographer talking to another. Thanks Doug. I would recommend this to anyone who wants to get a quick start to using the camera. Manuals are nice, but this eBook highlights the important information and gives a quick, easy to understand explanation of most all of the functions and controls. It’s clear, concise and gets to the heart of the camera’s multiple and often confusing options. Very highly recommended – for experienced user and beginner alike. Amazing – Mr. Klostermann has done an amazing job with this book. He’s outlined every detail, option, feature, and use of this camera possible, and actually surpasses the expectations of use of the camera. I moved from an old SLR to a modern full frame digital SLR, and found it to be more than I expected. This book really helped me come more to grips on what I was doing wrong. Not to mention the fact that this book, at the price you pay, is a steal. If you have a Nikon, I HIGHLY recommend you buy this book!!! Valuable Resource and Time Saver – If you’re contemplating purchasing this book I would recommend doing so without hesitation. Not only are the explanations behind the individual settings enlightening but the general theory on auto-focus and its associated uses is among some of the easiest to understand that I’ve come across. Definitely a good investment. As a result of his thoroughness, my confidence in being able to use a new piece of equipment soared. Additionally, the time required to figure out the differences between my previous camera and my new purchase was reduced sharply. Really focuses on the WHY – I found the Nikon manual good for understanding how to set things up but not much on the why – this book really focuses on the WHY. The guide helped me understand why to use specific settings for specific needs. The Custom Settings sections helps to make firm decisions on how to apply settings by understanding the usage of each in addition to knowing how to set them up. More than a Guide – I am a passionate photographer and cinematographer. Not only did I find Doug Klostermann’s guide well written and informative, but I really enjoyed the manner in which he shared his image-making philosophy. This is much more than a camera guide and I really appreciate the links to other authors found throughout the text as well as the chapter on suggested photography accessories. A Very Easy to Read but Detailed Guide – I have just bought this camera, and whilst I have been using digital SLRs for years i realize that I am not really getting the full potential out of all those buttons. Now I understand and use them. Great Source of Information! – I have been a Nikon user for decades and was of the view that I was very knowledgeable about these products. Still, once I started working with the camera I concluded that there was a good deal that was still to be learned. This book provided me with the information required, and has proven to be a very valuable resource: well set out, a comprehensive Table of Contents, and well written. The personal preferences and setting recommendations are most helpful. Job well done! The setup guide spreadsheet is a companion to my full D850 guide, Nikon D850 Experience, which is a clear and comprehensive guide to the camera. The full guide explains all the Menu and Custom Settings items, as well as all of the other camera features, functions, and controls. Since the introduction of the Canon EOS 77D, there have been numerous articles comparing the 77D to the Canon 80D. However, most of those articles merely compare the specifications of the two cameras, simply showing information that can be found on a spec sheet without ever having to actually touch the cameras. And most all of those articles completely fail to explain the actual, hands on differences between the 77D and 80D. In fact, based on the information they share (and fail to share), it becomes obvious that most of them have not actually used the new 77D! Detail of the Canon 77D body and controls. Example image from Canon 77D Experience guide – non-cropped image of swan, taken with the 77D. The 77D, however, lacks the weather-sealing and headphone jack of the 80D. The 80D also boasts a better pentaprism viewfinder, slightly faster maximum shooting speed of 7 fps vs 6 fps, faster maximum shutter speed of 1/8000 vs 1/4000, and a faster 1/250 flash sync speed vs. the 1/200 speed of the 77D. The larger battery of the 80D will allow for more shots or longer live view sessions. The 77D is also a few hundred dollars cheaper than the 80D. These various pros and cons can make it difficult to choose between the two cameras, because they mainly present figures from a spec sheet, and for the most part these types of differences are not significant. They certainly don’t tell the full story. Example image of great blue heron taken with the 77D, from Canon 77D Experience guide. While the two cameras share the same 45-point viewfinder autofocus system, they do not have the autofocus capabilities because the 80D includes numerous autofocus customizations in the Custom Functions that are not on the 77D, particularly for how the camera responds to moving subjects as you are tracking them and trying to retain focus. The items on the 80D that are absent on the 77D include the options for adjusting Tracking Sensitivity, Acceleration/Deceleration Tracking, and AF Point Auto Switching. These options are adjusted in order to help the camera better retain focus on different types of moving subjects, such as one moving smoothly and consistently vs. one moving erratically and switching speed and direction. They allow you to adjust the camera differently to track the distinct types of movements of (for example) a runner, a race car, a tennis player, or a bird in flight. While the 77D is fully capable of capturing sharp images of moving subjects, as demonstrated in the image of the flying heron above, the 80D allows you the ability to adapt the camera to different types of subjects, to better ensure that you capture more in-focus shots of moving subjects when capturing a burst of images. Some of the autofocus-related Custom Function options of the 80D that are not offered on the 77D. The 80D also includes the 1st Image/2nd Image Priority options, which enable you to tell the camera to prioritize shutter release vs. focus. In other words, you can choose if you want the camera to capture all images in a burst in-focus, or if you just wish to maintain the rapid frame rate at the possible expense of missing focus on some of the images. And the 80D offers the option of Orientation Linked AF Point, where the camera can automatically switch AF Point / Zones as well as AF Area Modes (Single Point vs. Zone of multiple points) when you turn the camera to a different orientation. For example, if you are capturing a portrait subject and are using one of the upper-right AF Points, when you turn the camera to the vertical orientation, the camera can automatically select an upper-right AF Point so that you don’t have to move the active AF Point yourself. The 80D also has the AF Point Selection Movement option, which allows you to tell the camera how to address AF Point selection when you reach an outer point. The AF Point selection can stop at the edge, or it can “wrap around” to the other side. I believe that with the 77D, the AF Point selection will always just stop at the edge. Another autofocus-related Custom Function on the 80D that is missing from the 77D is AF Microadjustment, which allows you to adjust the focus of each lens in order to obtain (ideally) exact focus. With the 77D, you are going to have to accept any slight front-focus or back-focus issues with your various lenses. AF Microadjustment options on the 80D that are not included on the 77D. Example image from Canon 77D Experience guide – Cropped detail of great blue heron in-flight, with fish, taken with the 77D, showing the ability to capture a sharp, detailed image of a difficult moving subject. Cropped from a similar distance as the above heron image. Some of these options you can live without and might never miss, but once you start taking advantage of them with a camera that offers them, you might never wish to do without them again! Other features of the 80D that are not included on the 77D are the Silent Shooting Drive Modes that allow for quieter shutter release. The 77D however, adds the Self-Timer Continuous option, which allows you to specify the number of continuous images to be taken with the self-timer. The 80D will only take one image with the self-timer. The 77D is also missing the in-camera HDR Mode, Multiple Exposure shooting, and in-camera RAW processing of images. During image playback, the 77D will display the blinking highlights only when you view the smaller thumbnail view of the image along with the histogram. With the 80D, you can choose to view the blinking highlights on the full-screen image playback. These “blinkies” allow you to see if you have over-exposed parts of an image. The 80D also offers a playback grid, which can help you to assess the composition. Viewing the blinking highlights on the full-screen image on the 80D (left) or on the thumbnail (right). The 77D only offers the blinking highlights on the thumbnail / histogram view (right). While both cameras offer Auto ISO, the 80D allows for additional Auto ISO options such as adjusting or specifying the minimum shutter speed that the camera can select when using Auto ISO. For example, if you are using Auto ISO and Aperture-Priority Shooting Mode, you may find that the camera is selecting a shutter speed that is slower than you may want, thus risking blur from camera movement. With the 80D, you can adjust this setting accordingly. The 80D will also allow you to select ISO speeds in 1/3 stop increments, rather than the full stops (100, 200, 400) of the 77D. The 80D also includes the Safety Shift option, where the camera will automatically adjust the exposure settings for you if the current settings are going to result in a poorly exposed image. For example, you may be taking images at a concert or performance using Aperture-Priority mode, and you have set your desired aperture setting. But if the lighting suddenly becomes much brighter, and your combination of exposure settings are going to result in a bad exposure, the camera will adjust that aperture setting to enable you to capture a proper exposure. The additional Auto ISO adjustments of the 80D that are not included on the 77D. Some additional features offered on the 80D but not on the 77D are the Custom C1 and C2 shooting modes on the Mode Dial, which allow you to register a pre-set selection of shooting settings and menu settings. For example, you might assign all your sports-related camera settings to the C1 mode, and all your landscape-related settings to the C2 mode, and thus be able to quickly switch to a different camera set-up. The 80D allows you to customize what is displayed on the various Live View display screens as you press the INFO Button (such as the shooting settings, grid, level, and histogram). The 77D offers these various information displays as you press the INFO Button, but you can’t customize what is shown with each click of the button. Both cameras offer Auto Exposure Bracketing, but the 80D allows you to customize the bracketing sequence as well as the number of bracketed shots up to 7 (only 3 shots with the 77D). And the 80D will allow you to set a precise Kelvin (K) White Balance temperature, while the 77D does not have this option. And while the 77D allows you to customize 4 major controls / buttons of the camera, the 80D provides the option of customizing several additional controls. These types of customizations enable you to set up the camera controls exactly how you want them, for quick access to various functions while shooting. The Custom Controls of the 80D that can be customized. The 77D only enables you to customize the Shutter Button, AF-ON Button, AE-L (*) Button, and SET Button. Regarding movie shooting, the 80D offers more format and compression options (MOV vs. MP4, ALL-I vs. IPB), while the 77D only records with MP4 and IPB. The 77D however offers the in-camera 5-axis electronic image stabilization for video. Which Camera is Best for You? While I’ve noted several of the functions and features of the of the 80D that are not included on the 77D, it is important to realize that you may never miss many of those features. Many shooters never really take advantage of some of these features, or they set them once and then forget they are there. And some of the features are the types of options you will start to realize you need only after using your camera for a while and then getting to the point where you say “I wish my camera would do ___.” At that point, you might be ready for an upgrade, and then choose a higher-end model. As noted above, even without these added features of the 80D, the 77D is fully capable of capturing high-quality, sharp images, even of difficult moving subjects such as birds in flight. In fact, even without several of the AF customization options that the 80D offers, I was able to capture just as many bird in flight “keepers” with the 77D as I have with higher-end models! Some of this was due to luck and timing, but the 77D can obviously do it. As the 77D shares the same 24.3 MP sensor of the 80D, the 77D is a great camera for enthusiasts who desire great image quality, sharpness, clarity, and low-light performance, but don’t have the time or desire to dig into the menus, settings, and customizations to adjust the camera for different photo shoots. And the 77D has the necessary features and controls for those who wish to take more control of the camera and its settings. The 77D is also good for enthusiast or occasional videographers who don’t need all the movie file type options. If you are interested in digging into the menus and Custom Functions of either camera, and learning to take full control, be sure to read my guides Canon 80D Experience and Canon 77D Experience! But if your primary subjects are sports, action, wildlife, or birds, you will want to upgrade to the Canon 80D (or 7D Mark II), particularly for their additional autofocus settings and customizations for tracking different types of moving subjects. Plus those models offer faster continuous shooting rates. And for those who want to take full advantage of the camera controls in order to change and adjust settings on-the-fly, the 80D offers far more Custom Controls options. If you are planning to purchase your Canon 77D or Canon 80D online, please consider using my affiliate links and help support this blog – thanks! You can purchase the new Canon 77D from Amazon here. $899.00 body only. And you can purchase the Canon 80D from Amazon here. $1099.00 body only. -First, be sure to set the print area, to avoid all the blank pages. Do this by manually selecting all the cells with data in them (drag the cursor from cell A1 to G200 and they will all appear blue.) Then access the menu for File > Print Area > Set Print Area. In the past I have resisted requests for these types of quick-start “cheat sheets,” because I prefer that readers of my Full Stop camera guides read through all of the Menu and Custom Settings options, and determine which settings suit their shooting situations and preferences. This is one of the best ways to really learn the ins-and-outs of one’s new camera, so I still encourage you to do so. But I can appreciate the value and the handy reference features of this type of recommendation guide. And the guide can be updated with your own settings if you wish. Just be sure to send or link to the original spreadsheet if you wish to share the guide! Please feel free to take the advice of dedicated Wildlife or Concert photographers, for example, above mine if it differs. And for further information, explanations, justifications, and caveats for the settings I specify, please have a look at my clear and comprehensive guide Canon 5D Mark IV Experience. Users are often curious about “hidden” features that their camera may have, though typically most dSLR models really don’t have many, as long as one carefully goes through all of the Menu and Custom Settings items, and reads through the manual or a user’s guide. However, with so many options and functions, there are a few items that truly are actually a bit hidden away on the Nikon D500. It’s not that the D500 manual doesn’t mention them, or that they can’t be found with careful investigation of the camera, but you may need to have them called to your attention to learn how to locate them and how to take advantage of them. And there are a few button shortcuts to access features and settings that you simply need to learn if you wish to take advantage of, because once you are using your camera, they are not indicated in any menus or with any button icons. Several of these “hidden” features are accessed with the i Button when working in the appropriate mode (Shooting, Live View, Movie, or Playback). Others are accessible in the menus but may require an understanding of the options as they are listed, or might require extra steps of sub-menu navigation to locate them. All of these features are discussed in more detail in my 400 page comprehensive e-book guide Nikon D500 Experience, but here is an introduction to these “hidden” features of the Nikon D500. Illuminated Buttons – Hopefully you are already aware that your D500 has the cool new feature of illuminated buttons, in order to help you change your settings when working in low light conditions. To make use of this, simply rotate the camera’s Power Switch to the light bulb icon. Detail of the illuminated buttons of the Nikon D500. Information Display and Button Settings – If you first press the Info Button to display the Information Display on the rear Monitor, you can then press most of the camera buttons to change the corresponding settings as you view them on the larger rear screen, rather than on the smaller top Control Panel. For example, you can press the AF Mode Button, and turn the appropriate Command Dial to change the AF-Area Mode and the Focus Mode. The screen will even indicate which Command Dial to use for each setting. This can also be used for the buttons on the top of the camera such as White Balance and ISO, as well at the BKT (Bracketing) Button. Left: First press the Info Button to display the Information Display, then press most any of the camera buttons to view and change those settings as you view them on the rear Monitor, such as the AF Mode Button for the autofocus settings. Right: Press the i Button during shooting to access the Photo Shooting i Button menu. i Button Features – The D500 includes the i Button, which is on most other current Nikon dSLR models. Pressing the i Button when shooting will allow you to access and change several settings using the Photo Shooting i Button Menu on the rear LCD Monitor, such as Active D-Lighting, Image Area, Long Exposure Noise Reduction, and High ISO Noise Reduction. It will also allow you to access the Custom Control Assignment menu where you assign the function of various camera buttons including the Pv, Fn1, and BKT Buttons, and the Sub-selector joystick. When working in Live View, Movie Live View, image playback, and movie playback, the i Button will access a contextual menu for each mode, and in some situations it is the only way to access and change certain of these “hidden” features. i Button in Live View – For example, when working in Live View, you can press the i Button to adjust the Live View Monitor Brightness. This is a different adjustment from the Monitor Brightness adjustment of the Setup Menu which affects the brightness of the screen for menus and image playback. The Live View Monitor Brightness adjustment, obviously, adjusts the screen brightness for Live View, but will not affect the exposure of the actual image. The Live View i Button menu will also allow you to access the Photo Live View Display White Balance feature. This feature allows you to set the white balance of the Live View screen separately than the current white balance of the camera. While this may sound odd, it can come in handy when setting up a shot that will actually be taken with different lighting, such as with a Speedlight or studio strobes. So using this feature, you can set the white balance of the LCD Monitor to better set up the scene in the current lighting. Left: Live View i Button Menu, where Split-Screen Display Zoom can be accessed. Right: Making use of this feature, to see if the left and right sides of the frame are level. The i Button is also the only way to access the Split Screen Display Zoom during Live View, where you can simultaneously zoom in on two different areas of the frame to help determine if they are level. This can come in handy for landscape and architectural photographers. Although the Electronic Front-Curtain Shutter is accessible with Custom Setting d6, and thus isn’t hidden, I will mention it here because it can also be accessed with the i Button during Live View. What you need to know is that this feature must be used in conjunction with Mirror Up (Mup) Release Mode. i Button in Movie Live View – Just as with Live View, some “hidden” features can be accessed with the i Button when working in Movie Live View. The “zebra stripes” feature is accessed with the Highlight Display item of the i Button menu. This will display diagonal lines on the screen at potentially over-exposed areas of the scene, thus helping you to adjust to the proper exposure. You will also need to press the i Button if you wish to adjust the Movie Live View Monitor Brightness and the Headphone Volume if monitoring the audio with optional headphones. The i Button will also access the Multi-selector power aperture feature, where you can press up or down on the Multi Selector to smoothly adjust the aperture setting while recording. Power aperture can also be assigned to the Pv and Fn1 Buttons using Custom Setting g1. The new Electronic Vibration Reduction can also be accessed via the i Button, or by using the Movie Shooting Menu. Left: Press the i Button when in Live View or in Movie Live View to access the applicable i Button Menu screen. Right: The Highlight Display “zebra stripes” feature for movie shooting, to indicate overexposed areas of the scene. Live View Exposure Preview – Pressing the OK Button when in Live View will display the Exposure Indicator scale on the screen, and the brightness of the screen will reflect the current exposure settings rather than simply showing the scene at an optimal brightness level. 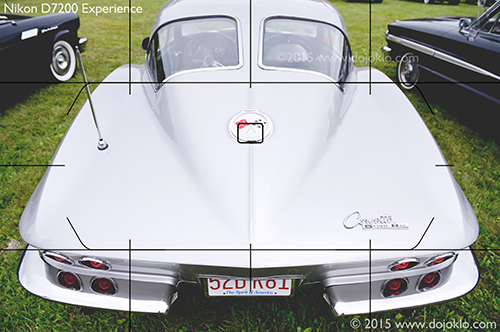 This will allow you to better preview the resulting image and make exposure adjustments. Camera Controls Assignments – A few other “hidden” features of the Nikon D500 can only be accessed by customizing one of the camera buttons to assign it to that function. For example, you can make use of the Viewfinder Virtual Horizon, which is a camera level that you can display in the Viewfinder. It will show an electronic level along the bottom of the screen as well as one on the right side, so that you can see both pitch and roll of the camera body. In order to use this feature, you need to use Custom Setting f1 to assign either the Fn1 Button, Pv Button, or Sub Selector Center press to the Viewfinder Virtual Horizon option. You can also assign the Pv Button or Fn1 Button to the 1 Step Speed / Aperture setting, which will allow you to quickly change the shutter speed or the aperture setting in 1 EV (full stop) increments, rather than the typical 1/3 EV adjustments that are made when you turn Command Dials. Another handy customization will allow you to press and hold a button to temporarily switch to a different AF-Area Mode. For example, if you have set up the camera to capture a bird in flight using Dynamic-Area 25 Point AF-Area Mode, you can customize the camera to press the Pv Button, Fn1 Button, AF-ON Button, or Sub-Selector Center to temporarily switch to Single-Point AF to better capture a still subject. You can set up the camera in a similar manner to temporarily switch to a different Metering Mode. Left: Using Custom Setting f1 to customize one of the buttons (such as the Pv or Fn1 Button) so that it can be used to temporarily switch to a different AF-Area Mode. Press right on the Multi-Selector here to set the desired AF-Area Mode. Right: The Multi-Selector Center Button can be assigned to display a large histogram during image playback. One Button Playback Zoom / Histogram – Using Custom Setting f2, you can assign the Multi Selector Center Button so that during image playback it will immediately zoom-in, at the magnification level of your choice (50%, 100%, 200%), centered at the area of the active focus point so that you can closely inspect your image. Or you can instead assign the button press to display a large histogram with the image, so that you can evaluate your exposure. OK Button and Multi Selector Shortcuts – During image playback, you can press the OK Button and simultaneously press the up arrow on the Multi Selector to access the Playback slot and folder options. This allows you to quickly choose which memory card (SD or XQD) and folder is being accessed during image playback. You can also simply scroll through the images from one card to the next, or you can press the Zoom-out Button repeatedly to access this Playback slot and folder screen (rather than the calendar view screen of other Nikon models). You can also press the OK Button plus the right arrow of the Multi Selector to access the Retouch Menu, and press the OK plus down arrow to select an IPTC Preset, which is metadata attached to an image for publication purposes. I recommended that you read their instructions for the process, in order to achieve the best results with this feature. Left: Simultaneously press the AF Mode Button and Movie Record Button to begin the Autofocus Auto Fine-Tune procedure. Right: You can directly enter a K-Color Temperature value by pressing the WB Button and using the Multi-Controller to select and change the digits, as displayed at the lower-left of the Live View display as highlighted here in yellow. White Balance Color Temperature Selection – When making use of the K – Choose Color Temp White Balance Setting, you can select the desired color temperature in the White Balance menu item, or you can quickly adjust this setting by pressing the WB Button and turning the front Sub-Command Dial while viewing the setting on the top Control Panel or on the Live View Screen. If you wish to directly enter a value, you can press the WB Button and use the Multi-Controller to select and change the digits. Live View Spot White Balance – This feature enables you to take a white balance measurement of a precise area of the scene when working in Live View. This is accessed by setting the white balance to Preset Manual (PRE), then pressing the WB Button until the PRE icon flashes. You can then tap on the Touch Screen to select the area used for the Spot White Balance Measurement. Synchronized Release of Remote Cameras – If you are making use of an optional wireless remote to trigger multiple cameras, there is also a “hidden” setting for this in the Custom Setting f1 button assignments. You can choose to assign the Pv Button, Fn1 Button, or Sub-Selector Center press to the Sync. Release selection option, which is used in conjunction with the Custom Setting d4 Sync. Release Mode Options. You can set up the camera so that, for example, when using the D500 as a master camera to remotely trigger other cameras, you can press the Fn1 (or Pv) Button while taking the shot, and then just the master camera will shoot, or just the remote cameras and not the master, based on your settings. Flash Information Screen – With an optional Speedlight flash attached and turned on, press the Info Button twice to access the Flash Information Screen showing the current flash settings, and then press the i Button to view and change the various settings and options. When using a Speedlight flash, press the Info Button twice to access the Flash Information Screen showing the current flash settings (left), and then press the i Button to view and change the various settings and options (right). To learn much more about the D500, including all the Menu options, Custom Settings, camera controls, features, and functions – plus how, when, and why to use them in your photography, have a look at my guide, Nikon D500 Experience. If you haven’t yet purchased your Nikon D500, please consider using one of my affiliate links! You pay the usual price, and they will give me a small referral bonus – thanks! -First, be sure to set the print area, to avoid all the blank pages. Do this by manually selecting all the cells with data in them (drag the cursor from cell A1 to G188 and they will all appear blue.) Then access the menu for File > Print Area > Set Print Area. In the past I have resisted requests for these types of quick-start “cheat sheets,” because I prefer that readers of my Full Stop camera guides read through all of the Menu and Custom Function options, and determine which settings suit their shooting situations and preferences. This is one of the best ways to really learn the ins-and-outs of one’s new camera, so I still encourage you to do so. But I can appreciate the value and the handy reference features of this type of recommendation guide. Please know that I am in no way an experienced expert in all of the different photography categories I have included, so take the advice of dedicated Wildlife or Concert photographers, for example, above mine if it differs! And for further information, explanations, justifications, and caveats for the settings I specify, please have a look at my clear and comprehensive guide Canon 5DS / 5DS R Experience. -First, be sure to set the print area, to avoid all the blank pages. Do this by manually selecting all the cells with data in them (drag the cursor from cell A1 to G151 and they will all appear blue.) Then access the menu for File > Print Area > Set Print Area. Please know that I am not an expert in all of the different photography categories I have included, so feel free to follow the advice of dedicated Bird or Concert photographers, for example, if it differs from mine. Or follow your own preferences as they develop with experience. And for further information, explanations, justifications, and caveats for the settings I specify, please have a look at my clear and comprehensive guide Nikon D7200 Experience. The Nikon D7200 starts shipping today (March 19, 2015), and like its predecessor the D7100, it should prove to be a highly capable camera. The D7200 offers a few incremental upgrades over the D7100, most importantly an increased buffer capacity, which will greatly benefit sports, wildlife, and other action shooters. (More on this in a little bit, in the Image Quality Settings section of this article.) The new model also boasts an updated version of the 51-point autofocus system, which will improve autofocusing in low light situations (down to -3EV, improved over the -2EV of the D7100). Battery life has been increased, Wi-Fi capabilities are built-in including NFC connection with Android smart devices, which allows you to touch the camera to the device to initiate a Wi-Fi connection. The D7200 also includes the new Hi BW1 and Hi BW2 ISO settings, extremely high ISO sensitivity settings which will allow very low-light shooting, but which only capture in black and white. Simulated view of the D7200 Viewfinder – The 51 AF Points, including the 15 centrally located cross-type points indicated in red here. Video improvements to the D7200 include the 1080/60p Frame Rate, and the “zebra stripes” (Highlight Display Indicator) to indicate areas of overexposure. Audio recording now offers a selectable audio frequency range (the standard Wide range or the narrower Voice range). The new Nikon Flat Picture Control is also included, which is desired by videographers as it provides the greatest latitude for post-processing, by helping to retain details in both highlights and shadows. It can also be used for still images that are going to be heavily processed. Also, the Picture Control options now include the Clarity setting, the Brightness adjustment allows a wider range, and the settings allow finer 0.25 increments or Auto adjustment. As with the D750, the D7200 offers numerous advanced options, such as the ability to capture images with different Image Areas, customize the size of the Center-Weighted Metering circle, fine tune the different metering modes, set up the dual memory card slots in various capacities (simultaneous, overflow, RAW + JPEG), specify exactly how exposure compensation is changed (Easy Exposure Compensation), and customize the controls for quick access to numerous different functions. The Autofocus Modes and AF Area Modes will allow you to set and customize the camera to best capture still subjects, and to accurately track and capture moving subjects (as explained in this post). You can learn about all the features, functions, settings, and controls of the D7200, plus most importantly when and why to use them, with my guide Nikon D7200 Experience. Simulated view of the D7200 Viewfinder – Making use of the Viewfinder Grid to create a straight, level image. As I teased you with the title of this post, although the D7200 is a highly capable camera, it unfortunately is not the DX version of the Nikon D750, as many had hoped. While the D7200 shares numerous features, controls, and menu options of the D750, a close look at the specs and the menus reveals that there are some important options missing, which were among the most notable advancements of the D750. This makes it easy to see what the future Nikon D7300 will include, but it is unfortunate in that the existing Nikon technology added to the D750 (and D810) will not be seen in a DX model for awhile. –Group-Area AF Area Mode – A group of five AF points, in a cross-shaped pattern, can all be used together to help focus on a subject, in situations where using a single AF point may not work as well, such as capturing birds in flight. –Highlight-Weighted Metering Mode – This new mode helps to prevent the overexposure of highlights in specific situations, such as a performer, singer, or dancer under bright stage lighting and against a dark background. -Matrix Metering Face-Detection option – The Custom Setting called Matrix Metering allows you to decide if you wish for the camera to take faces into account when determining the best exposure, when working in Matrix Metering Mode. This can help you obtain proper and consistent exposures if your portrait subject or bride is moving in and out of shadows. -The Power Aperture feature allows you to smoothly open or close the aperture during movie shooting, so that you can adjust the exposure on the fly or change the depth of field, without it being noticeable in the recording. So while the D7200 is a highly capable and customizable camera, and the D7200 and the D750 are very different cameras due to one being a cropped-sensor DX model and one being a full-frame FX model, the D7200 could have been a truer “little brother” to the D750. But the absence of these key features with the D7200 has prevented this from being the case…until the D7300 eventually comes out. You can learn about all the features, functions, settings, and controls of the D750, plus most importantly when and why to use them, with my guide Nikon D750 Experience. To further explain the various Image Quality settings that will affect the buffer capacity of the D7200, with the highest quality 14-bit, lossless compressed RAW image quality setting, the D7200 can capture up to 18 continuous images before the buffer fills and the camera needs to pause a moment to save the files. You can increase this rate by using the 12-bit lossless compressed RAW setting (27 images), the 14-bit compressed setting (26 images), or boost it significantly by using the 12-bit compressed setting (35). If capturing Large, Fine JPEG images, you will be able to capture up to 100 continuous images. How will these settings affect your images? The Lossless compressed setting will reduce the NEF (RAW) file size anywhere from 20-40% using a reversible method that does not affect image quality. If you desire smaller file sizes, the Compressed setting will perform a non-reversible compression resulting in 35-55% file size reduction. This will provide smaller files than Lossless compressed but Nikon claims the image quality reduction will be negligible. You will also separately select an NEF (RAW) bit depth setting of either 12-bit or 14-bit. The 14-bit setting will capture more color information but will result in larger files. The difference may be slight for many images, but the 14-bit setting will be beneficial for images containing areas of shadow, low-light images taken at high ISO settings, or for underexposed images that you wish to repair in post-processing. Again, be sure to have a look at my guide Nikon D7200 Experience to learn about all the features, functions, settings, and controls of the D7200, plus most importantly when and why to use them. First, be sure to set the print area, to avoid all the blank pages. Do this by manually selecting all the cells with data in them (drag the cursor from cell A1 to G185 and they will all appear blue.) Then access the menu for File > Print Area > Set Print Area. PDF Version – You can download a PDF version below, which is divided into 2 pages, and can be perhaps more easily navigated on a tablet or phone with some panning and zooming. However for printing it may prove to be too tiny, and you may wish to print the XLS version instead. Please know that I am in no way an experienced expert in all of the different photography categories I have included, so take the advice of dedicated Bird or Concert photographers, for example, above mine if it differs! And for further information, explanations, justifications, and caveats for the settings I specify, please have a look at my clear and comprehensive guide Canon 7D Mark II Experience. If you have purchased my Canon 7D Mark II Experience e-book guide, be sure to sign up on the updates page, so that I can inform you of any updates made to the guide or to this spreadsheet, and well be able to provide you with a free updated guide, should there be any major updates or corrections. 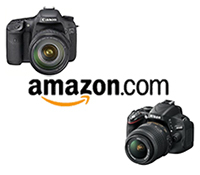 If you have found this blog helpful and plan to purchase a Canon 7D Mark II or some lenses or accessories for it, please consider using my affiliate links for Amazon or for B and H, found at the left side of this page. Your price will be the same, but they will give me a small referral fee – thanks! And please feel free to spread the word if this blog has been helpful.